Although most citizen-savvy cities these days recognize that community public space is as much a civic right as it is a priority, some small communities unfortunately find themselves lacking the resources to create vibrant public areas for residents. 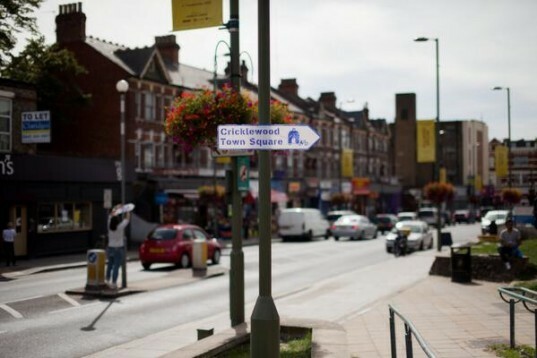 One such community is the small London suburb of Cricklewood, which has found itself with minimal public areas for citizens to enjoy within their own local community. 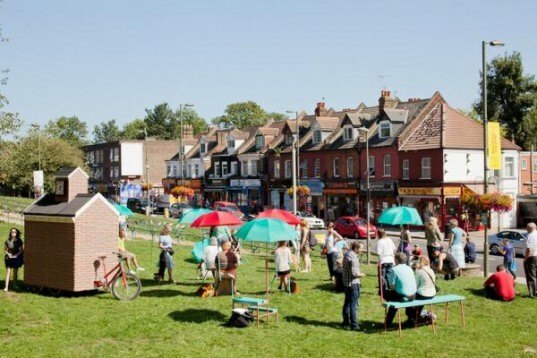 This lack of proper civic engagement options propelled the local Cricklewood Improvement Programme to seek assistance to improve the neighborhood. They successfully obtained a £1.67 million investment that will focus on restructuring the small and rather inhospitable area. 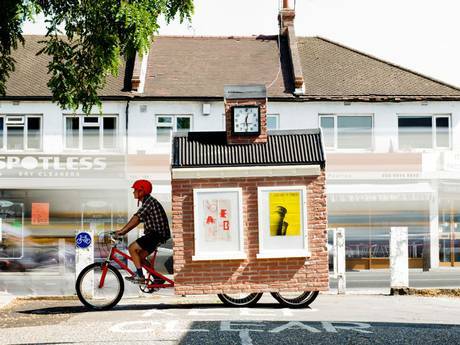 As part of the restructuring plan (led by Gort Scott Architects), a civic design agency, Spacemakers, has developed the Town Square on Wheels, a roaming, human-powered, pop-up public space that allows small communities to utilize whatever limited areas they do have for public use. Inspired by a 1980 NYC urban plaza study by sociologist William Whyte, the Town Square on Wheels project, designed and built by Studio Kieren Jones, offers a solution to the private vs. public conundrum that many small cities face on a regular basis. Ironically, commercial businesses, although essential to any small town, can quickly overshadow the basic local necessities and effectively isolate the same community they aim to serve. Thankfully, the Town Square on Wheels delivers (by bicycle!) the basic tools needed to create a safe and active community environment such as benches, shrubberies, trees, games, and above all, a strong sense of community engagement. Thanks to the innovative program, Cricklewood residents are able to gather together in family-friendly public areas and enjoy a bit of free, non-commercialized socialization. Not only are Cricklewood residents invited to enjoy the public space created by the Town Square on Wheels, but they are also encouraged to collaborate on the various events organized by the program. During the month of September, the Town Square will move around hosting a variety of events such as a traditional dance, a dog show, workshops, civic debates and movie screenings. Members of the community are active participants in the program’s operation in a variety of ways such as making signage and serving as historical guides in order to tie in the area’s history with certain events. Although the program is scheduled to run until the end of September, the project members are working with the local community leaders to leave a permanent physical structure in order to help residents continue to use newly designated public space for community activities. Saturday 28th September only – Raft Furniture Rooftop Carpark, Cricklewood Broadway.